The politicians we elect and the senior administrative officials they appoint are the people in our lives who are responsible for leading and governing this country in a responsible and effective way. They’re the leaders we’ve designated as our problem solvers, the guarantors of our liberty, and the visionary leaders charged with showing us how to both step up to and face our country’s toughest issues. At this point in history, these politicians and their administrators, on our behalf, are struggling with a wide variety of social, political, and economic problems. Actually, a pandora’s box full of convoluted issues and confusing problems. Very few of these problems are simple, and easily fixed. 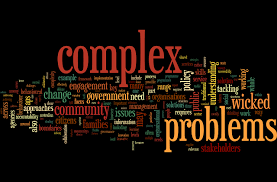 In truth, most of the issues and problems that our leaders are faced with today are terribly complex: Really, too complex to be easily understood. In this section of TLO’s Presidential Election Resource Center, we will focus on these issues; the persistent and problematic issues that are too complex to be easily understood, the one’s that this country’s elected leaders and appointed officials have, for more than three decades now, so clearly failed to solve or resolve.